Caliber Heating & Air Conditioning Ltd specializes in all your residential needs including; repairs, installation and maintenance for furnaces, air conditioners, thermostat, garage heaters and hot water tanks. We offer BBQ gas line hook ups and can supply Sheet Metal and Duct work services as well. Every home in this country needs a furnace and in Edmonton, a furnace is a necessity. Ensure that the furnace in your new home is working properly, or consider updating it to a new and efficient furnace. Temperatures can drop considerably in the winter and a properly functioning, efficient furnace is very important. At Caliber Heating & Air Conditioning Ltd, we provide all you need to successfully install or replace a furnace in your home. When you first reach out to us, our technician visits the location. A heat assessment is carried out to determine your needs. The best type of furnace for you depends on the size of your home, your budget and the energy rating. Any special requirements are also considered. There is a wide range of furnaces to choose from and choosing the right one for your home does not need to be complicated. We can help. Once a furnace is selected, our technician begins the process of installation. 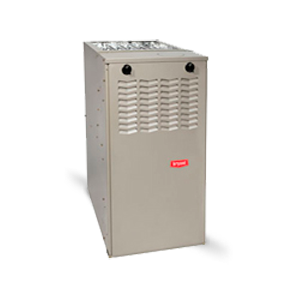 Many furnaces experience problems later because the furnace installation was not done properly. Our technician has training and experience in installing the furnace right the first time. When the furnace is installed, our technician conducts tests to ensure that it works properly. This includes checking that the furnace responds to the thermostat as it should. Our technician will show you, the customer, how to operate the furnace and answer any of your questions. We take special care to answer any of your questions and provide you with the information needed to choose the right furnace for your home and family. The type of fuel that you prefer makes an impact on the choice of the furnace. We recommend either an electric or natural gas furnace. You should also have the option of liquefied propane (LP) and even coal, which we do not recommend. They are not easy of use, they are costly and coal is not easily available. A furnace that is too small won’t heat your home efficiently, while a large furnace is an unnecessary expense and may not fit into the required space. It is necessary to calculate the load that is required. BTU, or British Thermal Unit, indicates the ability of the furnace system to heat a specific area. 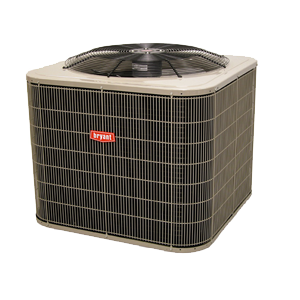 Common sizes are 40,000, 50,000, 60,000, 80,000, and 100,000 BTU. To decide the right size, we have to take into account the square footage of the home. The better the energy rating, the more fuel efficient the furnace will be. The energy rating follows AFUE (Annual Fuel Utilization Efficiency). AFUE ratings can vary from 60% – 90%. The biggest deciding factor for choosing the furnace is how much you are willing to spend. The size, energy rating and brand you choose will depend on your price point. With Caliber Heating & Air Conditioning, you can be sure that you have the right furnace installed for you. We also offer maintenance and repair services to ensure that your furnace is cleaned and checked for any problems regularly, and always operating efficiently. Your furnace can last many years with proper maintenance and timely repairs. If you wish to have a furnace installed in Edmonton reach out to Caliber Heating & Air Conditioning. A good air conditioner can last up to 15 years. Proper installation, maintenance and repairs are vital to keeping this investment working well to keep your family warm through our seasons. Once near the end of its life, it is probably more economical to install a new one than to repair it. Caliber Heating & Air Conditioning Ltd has served the residents of Edmonton, St. Albert, and Sherwood Park for many years; providing reliable and trusted air conditioner installation, maintenance and repair service. Why a new Air-Conditioner System? There are several reasons you may want to install a new air conditioning system. Moving into a new home? That’s reason enough to have a new air conditioner system installed. The air conditioner of an old home may be outdated, poorly maintained or just plain broken. Rather than just making do with the old air conditioner, installing a new air conditioner can ensure that you have a comfortable and enjoyable stay in your new home. A new air conditioner also ensures optimal energy when compared to an older AC unit model, which results in lesser energy costs for you. Instead of repairing your air conditioning system, it might be a more cost effective option to install a new air conditioner. Due to poor or no maintenance, certain parts may have worn out. In such a case, it is better to purchase a new air conditioner. When the air conditioner is older than 15 years and giving problems, we recommend that the new air conditioner should be installed. Reason? Even if repaired, the old air conditioner is likely to frequently give you problems as its parts are starting to wear out. At Caliber Heating & Air Conditioning, we have a thorough process to ensure that you get the right air conditioner for your home and your needs. When you reach out to us, the first thing that we undertake is an assessment. An air conditioner technician visits the location and an assessment is carried out. The type of the structure, the area size, and how well sealed the location is taken into account. We also listen to any special requirements you may have. There are multiple air conditioner units available in the market, each with advantages and disadvantages. Choosing the right air conditioning system is done based on the size and energy efficiency. You want an AC unit that cools your home, but not so large that excess energy is wasted. The energy rating of the air conditioner unit decides how energy efficient the unit is. The more energy efficient, the lesser the fuel is utilized. Your budget plays a large factor and setting it early on helps us narrow down on the right one for you. Most air conditioners face problems because of poor installation. Our technician is trained to install the air conditioner system correctly the first time. Furthermore, after installation, the air conditioning unit is tested to ensure that it is working perfectly. We also give our customers a thorough demonstration on how to operate the AC unit. We always work for the convenience of our customers. Book an appointment or call us at to have a new air conditioner unit installed. At Caliber Heating and Air Conditioning Ltd, we install 40 gal, 50 gal and power vented hot water tanks, in accordance with City of Edmonton gas codes and regulations. An efficiently insulated tank is able to keep the water warm for a few days. This reduces the cost of heating the water over and over again as it consumes less energy. To save more money, make sure your hot water tank is installed properly and working efficiently. Is your hot water tank giving you issues? Don’t panic, you don’t have to bear with a cold water bath! We offer a repair service for our customers. Reach out to us and we will send the technician to your residence to fix the problem. Hot water tank maintenance is also a service we provide. Good hot water tank maintenance ensures that you have hot water without interruption. We have a team of professionals who carry out the maintenance work. If you need any help with respect to the installation, repairing or maintenance process of hot water tanks, give us a call. We will be ready to assist you. Tankless water heaters are growing in popularity. They are high power devices that instantly heat the water as it flows through the heater. As the name suggests, there is no need for any tank to store the heated water. Multiple tankless water heaters can be used in a house where you want to have hot water. Caliber Heating and Air Conditioning is well equipped with trained staff who install these water heaters. We are there with you through every step of the way; from selecting the right tankless water heater for your needs to installing to providing maintenance and repair services. Tankless water heaters cost more but the operational cost is less. They use less energy to heat water since it only heats water when required, unlike tank water heaters which constantly heats the water. This leads to less power consumption and saves energy. A tankless water heater requires less space as compared to other water heaters. This is because a tankless water heater does not need a large amount of space while installing. So you do not need a separate tank to store hot water. Also, tankless water heaters can be easily mounted on walls without taking much physical space. They are generally small in size. The temperature of the water is controlled by tankless water heaters. So there is no chance of heating the water at exceedingly dangerous levels. This is necessary because if the water is too hot it can have some harmful effects on the body. Unlike other water heaters, tankless water heaters do not store the water. This means that there is always a continuous flow of fresh hot water. It also reduces the risk of rust building up inside the heaters and there is no problem of stagnant water. A tankless water heater lasts for a longer duration compared to tank water heaters. It is important that there is proper maintenance carried out by professionals. Our team of experts services the water heaters to function properly and last for a good number of years. If you want to install a tankless water heater, book an appointment with us. There is a wide market of tankless water heater types and bands. With Caliber Heating and Air Conditioning, we ensure you pick the right one for your home. 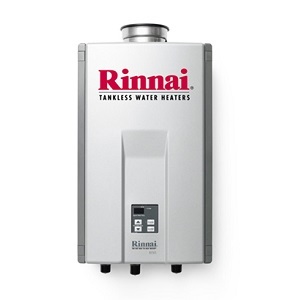 We usually recommend Rinnai tankless water heaters. These tankless water heaters are known for their longevity and durability. Our experts are trained to deal with all the old and the latest water heaters. Home inspections for tankless water heaters are free. We assure you a friendly and professional service. So when you need a new tankless water heater in Edmonton, get in touch with Caliber Residential Heating and Air Conditioning Ltd.
All tankless water heaters require an in-home inspection that is FREE. A thermostat is required to operate your HVAC system and alter the temperature. A well maintained thermostat can last for a good number of years. But a time may come when installing a new thermostat becomes essential. At Caliber Residential and Heating Ltd., you will find a team of specialist who would install the new thermostat in your residence. There are some reasons when you may consider installing a new thermostat. A thermostat can damage the air conditioner even due to a minor fault in the thermostat operation. A fault thermostat can make the air conditioner switch on and off quite often. This puts an extra load on the air conditioner. Installing a new thermostat solves this problem. A sudden spike in your power bill could be caused by the thermostat. The extra stress on the HVAC system means that it is consuming more power. The system begins to run in short cycles and becomes less effective. If you feel that the temperature is too high and then it drops to a sudden low, this is a sign that there is a problem with the thermostat. The fluctuations in the room temperature often can affect the working of the furnace system as well. If your system breaks down frequently, then you should consider changing the thermostat. 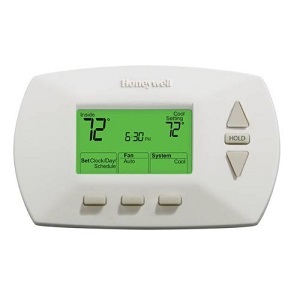 It is better to install a new thermostat rather than repairing the system repeatedly, which will only increase the cost. When you get your system serviced, our HVAC technician will check your thermostat and advise you if you need to replace it. So, if you face any of the above problems or you are moving into a new house, we would help you to install your thermostat. Also, if you are not sure about getting the right thermostat, our technician will guide in choosing the correct thermostat for your house depending on your needs. We have a highly skilled and trained team of experts who deal with installing the thermostat for your HVAC system. Our quality work will ensure you the best service in Edmonton. So when you need a new thermostat installed, get in touch with us. Give us a call or book an appointment and we will be available to help you out. Caliber recommends installing a digital thermostat to control your home heating. Digital thermostats keep your temperature within a comfortable range. If your thermostat has become too sensitive or isn’t sensitive enough, call us to test it and have it repaired so it doesn’t waste energy and your money. Call us with any questions about your thermostat and how it is behaving, if you aren’t sure it needs repair. We’re here to answer your questions and available for a service call. The electronic air filters are known to be 97% efficient in cleaning the air particles. 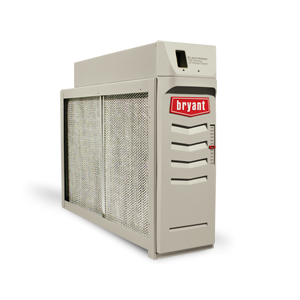 When the air goes through an electronic air cleaner, the pre-filter traps the majority of the large particles. The air particles, which are very small to be caught in the pre-filter, are charged positive, and later attracted to negatively charge plates. The clean air, therefore, prevents people from getting allergy or asthma and other breathing problems. Since electronic air cleaners clean the air effectively, it maintains the heating components and ensures that coils are free of unwanted dirt and dust. This keeps the coils clean and they operate more efficiently. Thus, less power is consumed, preventing huge electricity bills. An electronic air cleaner will last for long enough as compared to normal air filters. You do not need to buy new air cleaners every few months. If your electronic air cleaner does face problems, then you can call our technician and have it repaired. Your electronic air cleaner will be restored to the normal working condition by the Caliber team. If you want to take advantage of these benefits, get an electronic air cleaner installed along with your system. We replace and install new electronic air cleaners. Also, our technician will provide you with friendly and excellent customer service. If your air cleaner needs immediate repairs, give us a call and we will be available to solve your problem. In order to ensure your electronic air cleaners function properly and is long lasting, servicing the air cleaners is important. In case you need your air cleaners to be serviced, we undertake regular maintenance work as well. At Caliber Heating and Air Conditioning, we have a dedicated team who is trained to deal with all brands and models of electronic air cleaners. Reach out to us for a free home inspection. 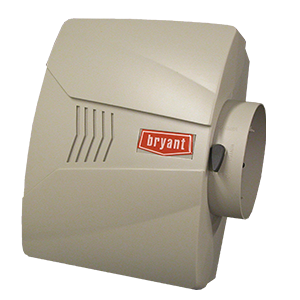 Caliber Heating & Air Conditioning Ltd installs Bryant Electronic Air Cleaners to filter and purify your air to give you better air quality in your home. All electronic Air Cleaners require an in-home inspection that is FREE. If your home heating system does not extend to the garage, you may want to consider a garage heater. At Caliber Heating and Air Conditioning, we install high quality garage heaters by Reznor. 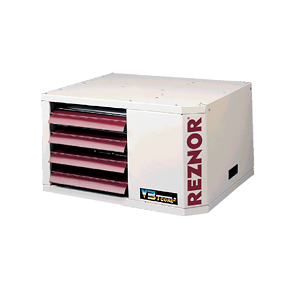 Reznor garage heaters are reputed for their quality and being industry leaders. If you spend a lot of time working in your garage, then keeping it warm becomes a necessity. Most newer homes in Edmonton make natural gas garage heaters easy to install. A natural gas garage heater has a pilot igniter that uses gas flowing through a valve to create a flame inside a heat exchanger. The fan available inside then circulates the warm air. They do not need electricity. These heaters are used to heat large spaces since they heat up rapidly. To install a natural gas garage heater, you must connect it to your natural gas line. Technicians at Caliber Heating and Air Conditioning are experienced at doing so and will get it right the first time so there are no problems. As the homes in Edmonton have natural gas line supplied, there is no hassles in installing natural gas garage heaters. Also, the cost of a natural gas garage heater is less than the electric or the propane garage heaters. Since, it does not use electricity to heat natural gas garage heaters are cost effective. Natural gas garage heaters provide more heat than other garage heaters. They are able to heat up the small room in quickly. They are more efficient than propane and electric garage heaters. A natural gas heater has the power to provide self-contained heat. Since, you use natural gas to produce heat, you contribute less to pollution. The gas is environment friendly. At the same time, it is simple and easy to use. Since, natural gas is lighter than air, it rises and does not accumulate on the floor as in the case of a propane gas. So if you are looking out to install a new natural gas garage heater, get in touch with Caliber Residential Heating and Air Conditioning. We also have a professional team of experts who will assist in repairing and maintaining your garage heater. Maintenance of the garage heater is crucial to increasing the life of the heater. We provide regular maintenance checks to ensure that your garage heater is functioning correctly. Our technician will be available and would solve the problem immediately. We ensure that we work out a solution for your heater on the day of the appointment itself. Reach out to Caliber Heating and Air Condition if you have a garage heater requirement or need to have yours repaired. All Garage Heater installations require in-home inspections that are FREE and booked at your convenience. A gas-line is a complex system of pipelines that carries natural gas throughout the country. Natural gas is used for domestic purposes such as cooking food, heating garage, or for your BBQ grill. At Caliber Heating and Air Conditioning Ltd., we install residential gas-lines for gas stoves, BBQ’s, garage heaters and small gas appliances. Our installation is thorough, safe and ensures your appliances work. Natural gas does not cause pollution and is an environment friendly product. It is also cost effective compared to other substitutes. Since natural gas is available in abundance in Edmonton, setting up a natural gas line for BBQ is convenient. If you decide to set up a BBQ gas line, then our professional team of technicians will help you out. If you install a natural gas line, it can be used for multiple purposes. It can be connected to garage heaters, rather than having electric or propane heaters. 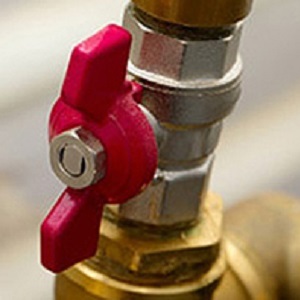 Gas lines can also be connected to gas furnaces, in order to heat the entire house. Once you have a BBQ gas line installed, the BBQ will heat up quickly. The heat is even and remains steady. You save yourself on the hassle of storing charcoals for the BBQ. There are many natural gas BBQ firms which provide with multiple burners for cooking different varieties of food on the grill. Looking out for a new gas line for your BBQ? Then get in touch with Caliber Heating and Air Conditioning. We provide a professional service in installing the gas line for BBQ and other small appliances. If you want to convert to a BBQ gas line or replace your old gas line then our dedicated and customer friendly team will help you out. At Caliber Heating and Air Conditioning, we ensure that the installation process is carried out on the same day of the appointment. Our technician will also assist you in installation once you have set up your BBQ. If you have any questions you may ask our technician who will guide you or you can give us a call. We would need an in-home inspection for all your gas line installations. We installs residential gas-lines for gas stoves, BBQ’s, garage heaters and small gas appliances. We require an in-home inspection for all gas line installations. All jobs are quoted in accordance to supplies and labor required to complete the job. All jobs are also completed in accordance to City of Edmonton gas codes and regulations. Humidifiers efficiently maintain the correct level of humidity in your home by adding moisture to the air. If your humidifiers performance has been compromised or seems to be less effective, than calling a specialist as soon as possible, is the right thing to do. Don’t put off needed maintenance or getting repairs or the wait could make the problem worse. We can make sure that your humidifier is always functioning properly. Here are some tips to maintain your humidifier and keep it in good, working condition. Clean filters are always necessary to keep it working properly. It is recommended that the humidifier be cleaned at least once a year. If you find a leak, then close off the water supply and consult a professional technician. We are very experienced in gas fireplace repairs and maintenance. If you are looking to repair or maintain your gas fireplace in Edmonton, then Caliber Heating and Air Conditioning is the right choice for you. A gas fireplace burns clean and is easy to handle. This is one reason why many people assume that it does not require any cleaning. However, this is not true. Annual maintenance of gas fireplaces will keep your furnace in good condition and prevent it from breakdown. So what happens during a gas fireplace maintenance check? Our technician will first examine the exterior part of the fireplace to see if the glass has any cracks, if it has been chipped or if it’s dirty. The framework will be examined to ensure it is not compromised. Our technician will then see if there are any problems inside the gas fireplace. Here, he will check if the gas ignition is lighting up without any problems. The valves and the connections below the fireplace will be inspected. If there is any debris or dust accumulated, it will be cleaned. Other routine checks such as the output of heat generated and detecting any leaks will also be conducted. The pilot flame should be blue in color. If the pilot flame turns yellow, it’s a sign that there is a release of carbon monoxide gas. This is an emergency situation. You must switch off your fireplace and give us a call immediately. Caliber Heating and Air Conditioning has an emergency repair team who will fix the issue quickly.